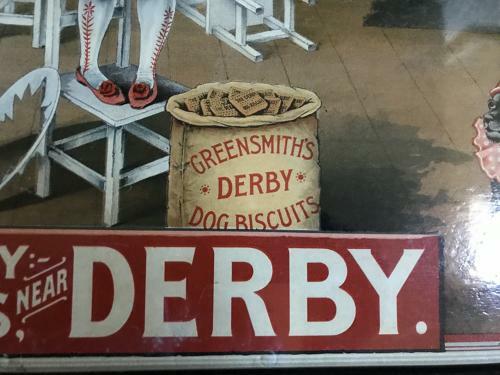 Edwardian Greensmith's Derby Dog Biscuits Showcard in good original condition. One of the nicest old showcards for image, typography and colours. These showcards turned up some years ago when a factory building was sold. Many were burnt on a bonfire but some were rescued before that fate! Has been later framed.